Announcement If this is the first time in my shop, Welcome! You will find a great variety of homemade lye and glycerin soaps. I use only the best ingredients to create a great quality final product. All my soaps are vegan. If you have something in mind and can't find it on my site, just email me, I can make pretty much anything you want. I really enjoy making wedding and shower favors, and can get quite creative! If you are a returning customer, Thank you! It is always a great pleasure for me to see that people like my products and come back for more! If you bought a soap in the past and can't find it, it is very possible that it is in its curing stage and will be available soon, just email to find out! As always, shipping fees can be frightening on Etsy, they haven't designed a program that's working accurately yet. My guideline is this: I can fit up to 8 soaps in a priority large envelope, for $6.85 shipping fee. For an added bonus, if you live less than 5 states away from Florida, your order may qualify for Priority Regional Shipping, at an even lower cost. In doubt, just ask! Any shipping payed by you in excess will be refunded before the order is even shipped. If this is the first time in my shop, Welcome! Lemongrass Old Fashioned All Natural soap with Calendula. Shaving bar soap with Bentonite Clay and Colloidal Oatmeal. Tangerine scented Goat's milk and Olive oil glycerin soap. Very pleased with this soap and its maker. It is FULL of himalayan salt which i LOVE! And she left me a lil note that made me laugh lol i will buy from this shop again.Super fast shipping!! 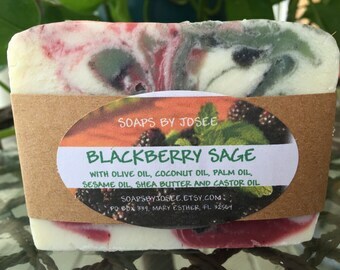 Thank you soapsbyjosee! I love the soaps. I have delicate skin so I can't use normal soaps, but because these ones are natural they don't hurt my skin. They also smell delicious. Finally, the shipping was super fast! Display of lotions and glycerin soaps. My first ever fancy soap; Calendula Orange with Castor Oil, Yuzu and Orange essential oils. Old fashioned soaps display when I go to fairs and festivals. Welcome to my soap shop! Around our home, we live by the philosophy that your skin is too precious and too important to scrub with harmful chemicals every day. Each soap is hand-crafted in our kitchen with all-natural ingredients, infused with organic essential oils, and individually packed with care. We think these adorable soaps are perfect as a fun touch in your guest bathroom, but the luxurious lather and long-lasting scents will be too tempting to leave it on the counter for long. Don't be surprised if they keep disappearing! You may be tempted to reserve a bar for your spa days, but we bet you'll discover each product is gentle enough for daily use. Along the way, I have now added a line of homemade lotions, body butters, shampoos and conditioners, all designed with the same desire to use natural ingredients and offer you the best product possible. My lotions are creamy, yet very easily absorbed by your skin. The "Dry skin" lotion was designed when a good friend of mine revealed how painful his psoriasis was. After a lot of research, I designed this special "dry skin" lotion that combined the best Oils and Essential Oils for people with skin problems. It has brought my friend great relief, and made me very thankful that I could help. The Body butters are thick, made primarily with Shea butter, yet not greasy because I add Tapioca Powder to the mix. They all smell wonderful. Trust us, your skin and hair will thank you! 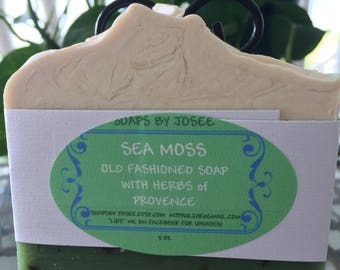 Our line of lotions, lotion bars and specialty lotions is handcrafted with the best available oils and essential oils or fragrance oils and have garnered great reviews! Our gel serum and eye serum made with wonderful oils such as Argan Oil Jojoba Oil, Almond Oil, Carrot Seed Oil are light, non greasy and deeply rejuvenating. Give us a try! You will get a great quality product and will be back for more! Shipping charges are estimated at the highest rate. I ship USPS priority mail. Ship up to 8 items for standard flat rate of $6.85. Any shipping overcharges will be automatically refunded to your account once I process the order. Ships within 1-2 business days. Once shipped, should be received by buyer in 2 days.